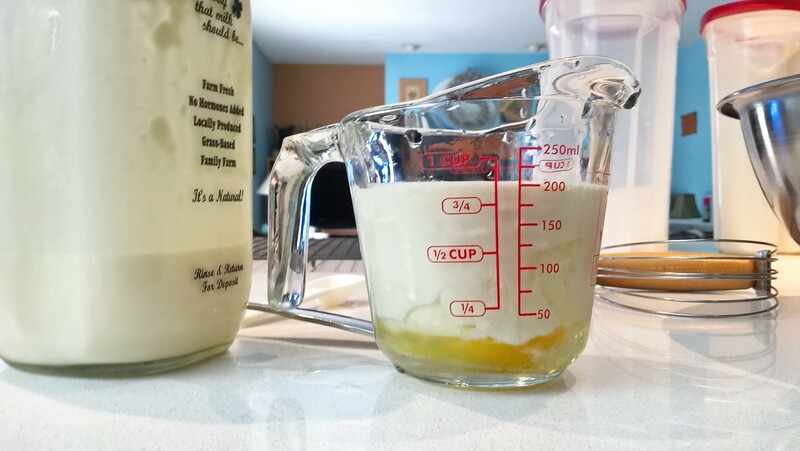 Put an egg in a measuring cup. Add cream to just between 3/4 and 1 cup. Makes me smile every time.